Do you ever do a challenge and not upload it? Me too. That’s me almost every time. Not this time though. At Scrap The Boys they issue a monthly challenge. The challenge was to incorporate flowers into a boy layout. This month I knew exactly what I wanted to do. The flowers are stamped using the set Oh, Hello! As you can see it is just a subtle 3 flowers in the background but it is so sweet. There is nothing sweeter than a sleeping baby. I could hold you and stroke your beautiful face for hours on end. There is something about it that just makes your heart melt and feel so full. You are just the most adorable boy. Your soft skin, your baby smell, the way your smile in your sleep, all of it. It makes my heart swell. I would have thought after 5 babies the novelty would wear off but it hasn’t. I still love it as much this time as I did the previous 4 times. I am a very lucky Mummy to have such a sweet boy as you. I am a massive fan of date roller stamps. 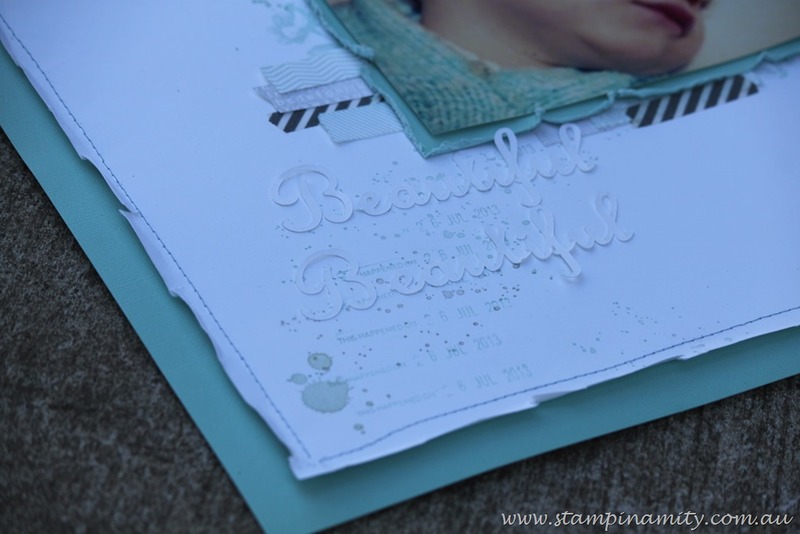 I have repeatedly stamped the date on this page with the “splatters” from Gorgeous Grunge. 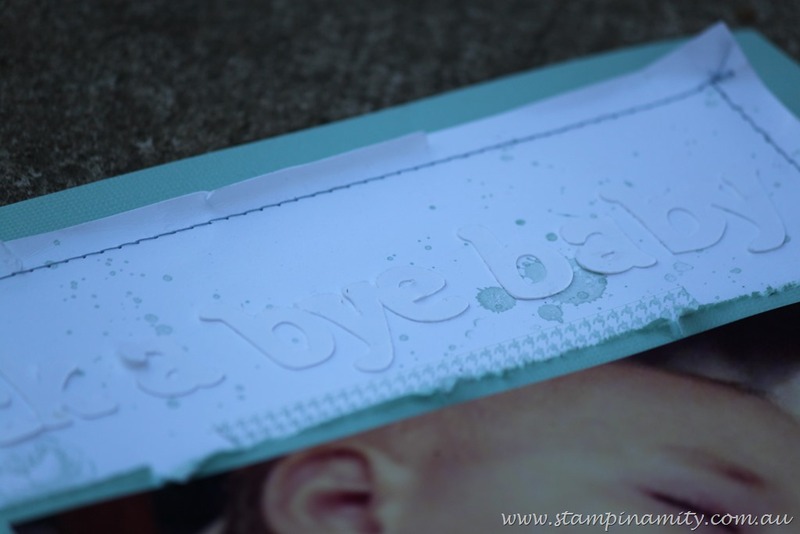 This date roller stamp is Remember This and That and I use it all the time. I am really getting back into sewing on my layouts. I guess it helps if the sewing machine is out and not packed away. I just have to make sure I set it up permanently in my room somewhere. I just have to find a good spot. 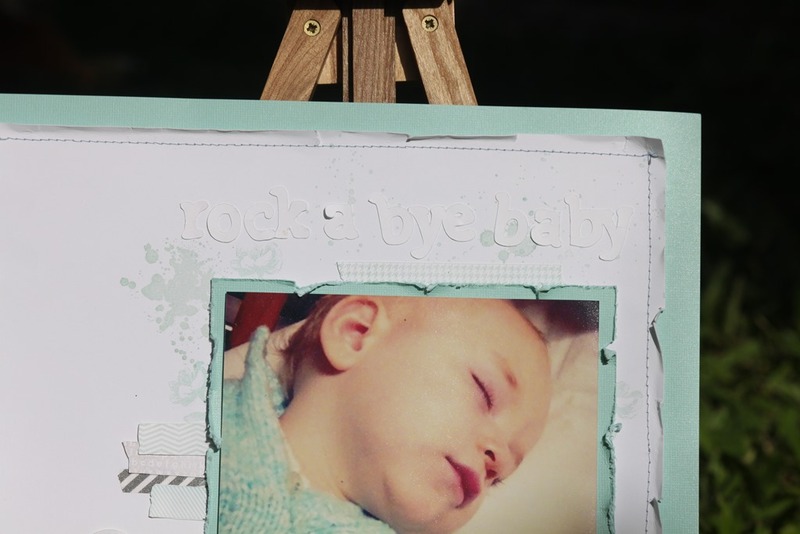 Rock a bye is an MDS download which I converted into a cut file in Silhouette Studio and has been cut using my digital cutting machine. 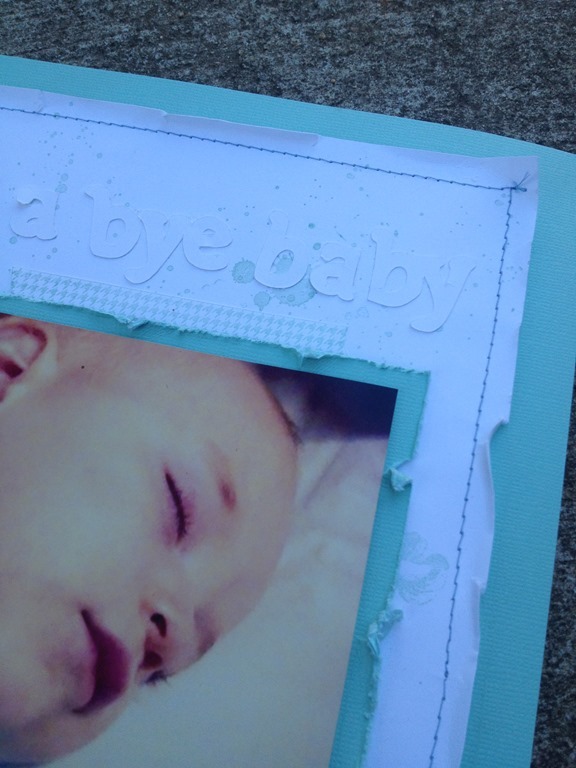 If you’d like to know more about my scrapbooking classes or about using MDS or any of the products shown here please don’t hesitate to contact me. I’m always more than happy to help. After checking out a few of the blog posts on your web site, I truly like your way of writing a blog. Pretty portion of content. I just stumbled upon your web site and in accession capital to assert that I acquire in fact enjoyed account your weblog posts. Sites are constrained by system limitations (elizabeth. company logo in a very 1966 pontiac tempest. What’s up, this weekend is pleasant designed for me, as this time i am reading this impressive informative article here at my home. the perfect amount to establish make-up naturally for a sheer, organic appearance. the appeal items that will allow you genuinely beam in high fashion style! The jar is a visual surveillance level, not teasingly enigmatic nonetheless blank, with out cordial allusions to illustrious urn forebears and implicitly a rebuff to Keats’s expression of ardent longing for a consummate reciprocity between artwork and nature. Stevens’s private Keatsian proclivities are being stored properly in study on this self-admonitory anecdote —an anecdote for the artist. In ‘Anecdote of the Jar’, Stevens’s curious use of the phrase ‘slovenly’ to describe the ‘wilderness’ converts the normal which suggests of the expression to a constructive somewhat than a pejorative sense, in addition to drawing on the newer and extra impartial American meaning of ‘uncultivated’. aas well delighted to sare my know-how here with mates.